This summer has been a bust, weather wise, where I live. There have been nice sunshine-y days, but then they've been broken up by clouds, wind, rain, and temperature drops... just plain unstable weather. But finally a way to recreate those few days of blue skies and warm sun no matter where you are, no matter the time of day, or what you're doing... just select this latest treat from The Little Ones and hit play. This remix is of a song found on their full length debut Morning Tide (July 28, 2008 UK - US October 7th 2008) and if you know the original, this remix really plays up the bright sunny aspect of a band skilled in that style of music. If you're a Shins fan you'd be making a mistake if you didn't seek out The Little Ones. Pre-order the new album and buy the earlier EP by visiting insound.com. Come to think of it, just about any song by the band will bring back the sunshine, so get moving. 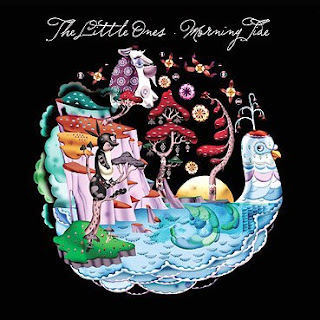 Read the Sixeyes review of The Little Ones EP Sing Song (2006). As we say with some friends, "very happy-birthday songs"! I liked them. I've found a similarity between The Shins and them in the opening claps of "Morning Tide", similar to those at the beginning of "Chutes Too Narrow" album. I know it's a silly detail but I can't help thinking about it. Thanks.